RAW is Romeo Akbar Walter by Robbie Grewal and the film will go on floors from 1st June 2018. Last seen in 2016’s film, Force 2, John Abraham is coming back after 2 years and has exciting projects in 2018. After Parmanu and Milap Zaveri’s SMJ, the handsome hunk will be seen in Robbie Grewal’s RAW. 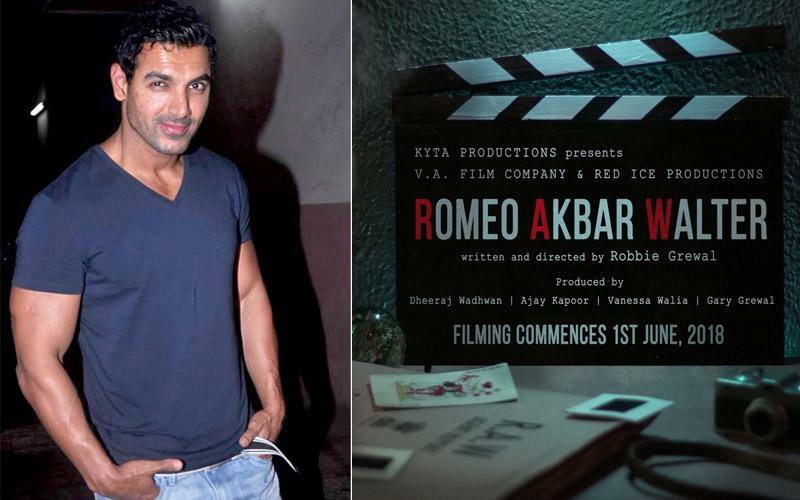 Written and directed by Grewal, RAW is Romeo Akbar Walter. The movie is a drama set in the 1970s and is being produced by Ajay Kapoor, Dheeraj Wadhwan, Vanessa Walia and Gary Grewal. The film will be shot in a start-to-finish 60-day schedule in Nepal, Gujarat, Srinagar and Delhi with the shooting commencing from June 1, 2018. Award-winning make-up artist Vikram Gaikwad has come on board for the film while the costumes will be done by Amera Pulwani. Meanwhile, John Abraham and Manoj Bajpayee are all set to work together in a dark thriller being helmed by Milap Zaveri. The film will be produced by Nikkhil Advani and it went on floors recently. Apart from that, John will soon start promoting his next film Parmanu: The Story Of Pokhran. The film is put on a hold for a long time and will finally hit the big screen on April 06th 2018. Actor John Abraham is in talks with Akshay Kumar for the sequel of Garam Masala! Sushant Singh Rajput is the new fierce and deadly dacoit of Chambal! Check out his first look from ‘Sonchiriya’! Confirmed: Milap Zaveri to make a film titled ‘Raakh’ starring John Abraham and Manoj Bajpayee!